Getting people to your website in order to try to convert them into customers is surely one of the most important goals of SEO, or indeed, any digital marketing campaign. However your SEO is only one part of the customer journey, and it should be used alongside other techniques to ensure you build trust with your prospects, and turn them into raving fans that will eventually engage with your services. It’s not about stuffing keywords into your pages! If you are stuck with a problem, any problem, at some point in your life, then it’s likely that you’re going to remember the person that helped you out. You know when you broke down in the pouring rain on the way to Wales and the friendly mechanic you happened to meet got you up and running in super-quick time for free? You’ll remember him or her, and you’re likely to call upon them again should you be in the area. When you need your next service, there’s a chance you’ll think of them and take your car over to their garage. You will have trust in them. I’ve been banging on about this for a couple of decades now. Information is the lifeblood of the Internet, and as much as people like to create click-bait style headlines like “content isn’t king anymore”, the fact is, content is indeed king. People want information, and they want even more now we have digital assistants that we can just bark commands to. Forming that content into articles that people can consume is still the most important aspect of a digital marketer’s job, and that’s where the trust is built. You see, Google (yes, and other search engines), consumes content like never before. As they get better and better at understanding the context of articles, they can use the content that you create as answers to people’s questions. 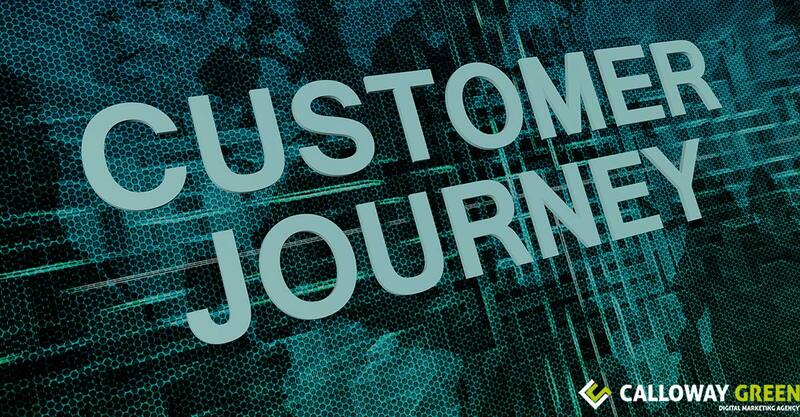 And this is where the customer journey begins. Usually I’d now waffle on about how you should do this and that, without actually giving much information away; however today I’m going to explain to you a process we go through regularly with our clients, and one which can make a difference to your ranking in a very short amount of time. But first of all, what are we aiming to do? I’ll discuss another time the technicalities of what we’re about to do, but we’ll cover some basics here. What technical SEO factors should we be targeting? Google has to understand how good an article is at answering questions using algorithms, which means we need to understand how it does it, at a basic level anyway. Now, they have something called “RankBrain”, which is an extremely technical method of producing search results, and one which I’m not even going to attempt to explain. It’s a bit like quantum physics. If someone says they understand it, they’re lying. But, we can use our experience to work out what’s going on at a fundamental level, and work from there. The great thing is, we can measure each one of those factors. There are numbers that we can look at that will give us some kind of indication as to how our content is performing based on those three principles. If you take a look at Google Analytics, you’ll notice in the ‘overview’ section there are two statistics that you may have skipped over in the past. These two numbers represent the average amount of time people spend on your site (avg. session duration), and the percentage of people who simply “bounce”, or leave the site immediately. The higher the first number, and the lower the second one, the better. You can find out the session time and bounce rate for individual pieces of information on your site by searching for “Behaviour->Site Content->Landing pages” in the box at the top of analytics. People will spend a longer amount of time reading longer articles, so our first target is to write content that is more in-depth and simply has more words in it. What it’s showing is that longer content gets more organic traffic – i.e., Google is sending people to it. Now, this is obviously not going to fit with all content ideas. If you can’t write content of such length, then should you pad it out to fit? If you want to write about something simple, and can be explained in 300 words, then do that, but also look for a subject you can write a lot about. The content needs to be engaging. People will only read content that is entertaining or has information they want and find useful. If you waffle for 2,000 words, then your avg. session times will drop, and you won’t get the benefit of this lovely content you’ve written. So add images, animations, quizzes. Keep people engaged. OK, so shares is another important factor, but to be honest, if you get the first two right, this will just happen. You have to make it easy for people to share, so make sure you pop social sharing buttons in your content, but assuming your content solves a problem and is in-depth and useful, people will tend to share it about, it’s what we do. You can, of course, promote it yourself using social media such as LinkedIn and Facebook etc. and that can be a good way to get it out in the open so people find it and begin sharing it themselves. You should also send it to your email list, and ask them to share it. If it reaches that holy grail of going viral, you could have a hit on your hands, but remember that most content doesn’t go viral, and all you’re after is a few people to like and share and you’re likely to find your content ranking well. Believe me, it doesn’t take much to get your content up there, it just takes something. Ok then, you need to build a big article that has a lot of content, but how do you know what people are searching for? People ask questions in many ways, and you’re never going to be able to catch them all in your article, so you need to keep in mind the basics of language and the way synonyms are used. And, you can use some incredibly powerful tools to help you. Let’s take the example of a car dealer. A good way to get people to your website is to give them advice on the various intricacies of owning a car, maybe how to change a wheel. How do people search for information on changing wheel I wonder? I chose this particular example for a reason, I wanted to explain why sometimes you shouldn’t go to 2,000 words. Changing a wheel is not hard to explain. If you strip it down to its fundamental parts, you jack the car up, undo the bolts, take the wheel off, pop the new on on and tighten it up. Job done. But Bridgestone have gone into a lot of detail. Unsurprising really, it’s their stock trade. They’ve included keywords that appear in the first list from LSIGraph, such as tools. That’s the sort of level of detail you need in your articles. There’s also something else we can learn here. Their article is entitled “How to Change a Flat Tire”, it doesn’t mention “wheel”. The content mentions “wheel” in the context of the wheel nuts and other explanations, but this is where this tool really comes into its own. Yes, changing a “wheel” is the most accurate description of what we want to do, but people search for other things such as “how to change a tyre” and “how to fix a flat tyre”. It already knows about the similarities between these keywords and how they’re used, so you need to just ensure you explain your subject well. Looking down the list of keywords in the LSI results, try to insert maybe some of the words that are mentioned to make it more relevant, but don’t stuff them in. Explain your subject well, include lots of diagrams, and you’re mostly there. The important thing to bear in mind is that the robots, i.e. Google etc., take a back seat here. It’s not really about technical things such as keywords, even though we’ve used technical analysis tools. What it’s about is find out out what people want and making our content suit them. It’s people who will be reading your content and people who will be sharing it, so that’s who you need to please. That means you also need to lay your content out in a way that will suit human readers. You’ll notice that I use a lot of white space in my articles, with headings to split it up. There are very rarely two sentences on one line. This is the exception to the rule. Well, when reading any kind of content on a device such as a laptop or (more commonly now), mobile phone, people find it harder to read dense paragraphs of text. If it’s hard to read, they’ll go away. Well, there’s a lot there to take in, so let’s just summarise so all of those who have skipped the hard stuff can still get on with doing it right! People spend more time reading them, and the length of time spent on a web page is a ranking factor. Longer articles doesn’t need to mean boring content. They can be interesting, too, and they’ll need to be to keep people reading. Just make it clear what your subject is, the rest is down to Google. Make it for people, not machines. And possibly the most important thing is to make sure you’re writing about something you’re excited about and let that come out in your content.